Joydrive is a growing network of handpicked, elite dealers providing you the online buying and leasing experience you want. Your transaction is direct with the dealership and their licensed representative, Joydrive just lets you do both buying and leasing all online. No dealership visit required. Buy or lease your new or pre-owned vehicle online. A $199 refundable deposit starts the process. A real offer in less than 5 minutes, no dealer visit required. Use your own bank or get financing. Dealers deliver in as fast as 1-day. Use the 5-day return period to decide if it is right for you. 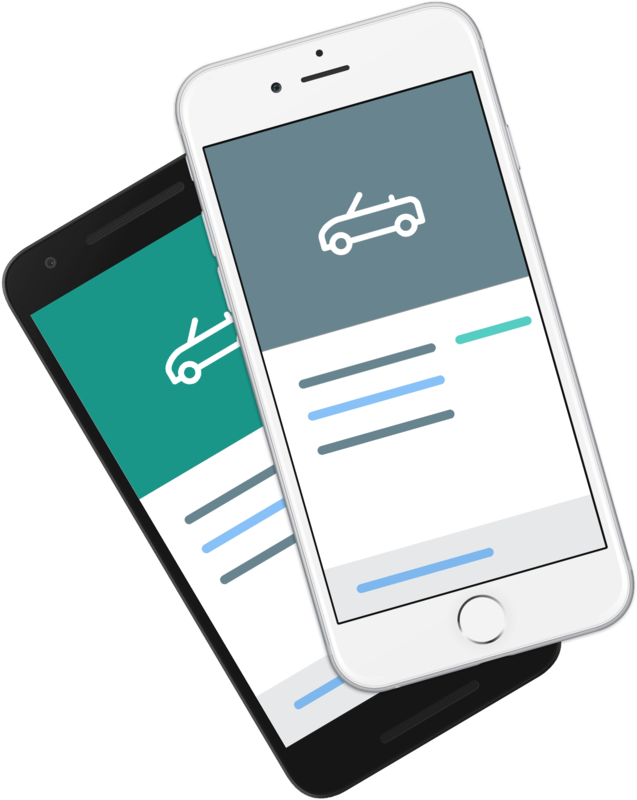 Joydrive lets you buy or lease a new or pre-owned vehicle without visiting a dealership. That means your vehicle purchase is on your time and schedule. Or, do everything ahead of time and pick up in-store. Each pre-owned vehicle has had an in-depth background check verified by the Joydrive Dealer Member. An accident report can be provided for free by your Joydrive Dealer Member. Once you have found your vehicle, simply place a $199 fully refundable deposit, you can even pay with Apple Pay Apple Pay . If for any reason you decide not to purchase the vehicle, your entire deposit will be fully refunded. Once you have paid the $199 fully refundable deposit, you will be directed to your dashboard where you can communicate directly with your Joydrive Dealer Member. Your dashboard is where you can manage the details of your purchase or lease, including your trade-in and any financing that might be required. Need financing? You will be given the option to use your own bank/credit union or select "I'd like financing". Joydrive's Dealer Members utilize a network of lenders that offer competitive and fair rates quickly and efficiently. Have a trade-in? Get a real offer, before or after you reserve your new vehicle, in a few simple steps and questions. All paperwork is handled by Joydrive's Dealer Members and delivered to you. Joydrive also protects your information by using secure SSL forms, encrypted connections, and your personal information is only used on your vehicle transaction. The Joydrive trade-in process provides an instant and competitive offer after several quick questions. Stay at home, no dealership visit required. The full-service trade-in radius is limited to 300 miles from your Joydrive Dealer Member. We are rapidly expanding nationwide. Selling a vehicle yourself can take weeks, likely involves unknown parties and eliminates possible tax savings. Don’t forget to add protection to your purchase during checkout! A vehicle service contract can safeguard your investment from costly mechanical repairs, and GAP Protection guards you in a case of a 'total loss' on your vehicle. You can change your mind at any time before delivery. Select a delivery time that fits your schedule and take advantage of your 5-day return period to decide if the vehicle is right for you. Or, do everything ahead of time and pick up in-store. Select a delivery time and date or coordinate with your Joydrive Dealer Member to pick up in store. We're operating full-service within 300 miles from your Joydrive Dealer Member, limited-service outside of that range (purchase only, no trade-ins) and rapidly expanding across the country. Delivery is free within 100 miles, and any applicable delivery fee is shown upfront on the vehicle page. Your Joydrive Dealer Member can deliver to your home or place of business. Want to return your vehicle? With our 5-day return period, you have 5 days from time of delivery. Learn more. Go find yourself a car. The 5-day return period is only valid for vehicles purchased through the Joydrive site. Your initial $199 deposit should post to your account in approximately 5 - 10 business days, depending on the credit card processor and your bank.